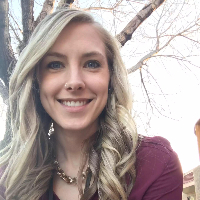 I’m a licensed professional counselor in the state of Colorado with over 5 years of experience in mental health and substance abuse counseling. I have worked in a variety of therapeutic settings including individual and group outpatient counseling, intensive outpatient programming, partial hospitalization, inpatient psychiatric hospitalization and emergent care settings. I grew up in a military family traveling all over Europe and the United States. Throughout my travels I have assisted clients of all ages dealing with a variety of issues including but not limited to depression, anxiety, addiction, bipolar, post-traumatic stress disorder, lack of motivation, career challenges, and life transitions. I have a Bachelor’s of Science in Psychology from Georgia College & State University and a Master’s of Science in Clinical Mental Health Counseling from Mercer University with over 300 hours of extra higher education on substance abuse treatment. I am licensed within the state of Colorado as a licensed professional counselor and a certified addictions counselor I. My counseling approach is warm, empathetic, and compassionate. I seek for you to feel comfortable so we can get to the root of the issue you’d like to overcome. I use an integrative therapeutic approach tailored to your individual needs which may include cognitive-behavioral therapy, dialectical behavioral therapy, person-centered, rational-emotive therapy, and/or motivational interviewing. I believe each person’s life is diverse and unique, why would your treatment plan be any less? It takes courage to take the first step and seek help. If you’re looking to make that step, I am looking forward to empowering you on your journey. Amy is warm and empathetic and very easy to work with. She gives me homework and is solution focused which I appreciate. Amy is great! Wish I could continue talking to her. Would you like to write a review for Amy Bridges? We'd appreciate if you can spend a couple of minutes to write a short review for Amy Bridges (NCC, CACI, LPC). This review would be shared with Amy Bridges. It may also be posted in our website or in Amy Bridges's profile but it would be anonymous and your identity would be kept completely confidential.